Feeling crafty in your small space this weekend? Check this rad project via Photojojo. 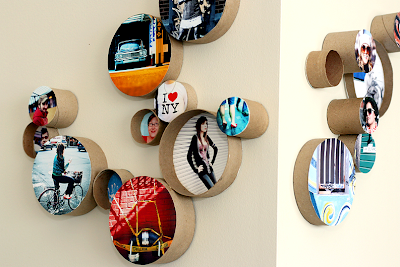 Resourceful, affordable and fab, create photo ring frames by way of cardboard rolls hanging around your house. It's a great way to add texture and style . Click here to get the details. that is super cool beans!